As an amputee, you may be able to benefit from various types of assistive technology (AT) for working, going to school, participating in sports or hobbies, or enjoying an independent lifestyle. 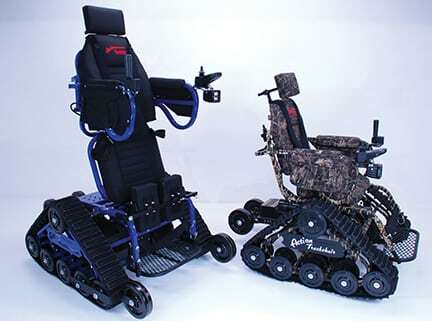 You might, for example, benefit from a computer mouse that can be controlled by your foot; voice-activated computer software; a mounted electric can opener; a reaching device; a portable ramp; adaptive driving equipment; a walker, scooter, or wheelchair; or wheelchair-related adaptive products (see pg. 24). It is important to carefully evaluate your present and future needs, goals, and resources before you purchase a product, and, if possible, consult an expert, such as an occupational therapist (see pg. 26). In many cases, a low-tech, less expensive solution will work as well as a high-tech solution, and an expert may be able to help you find one. 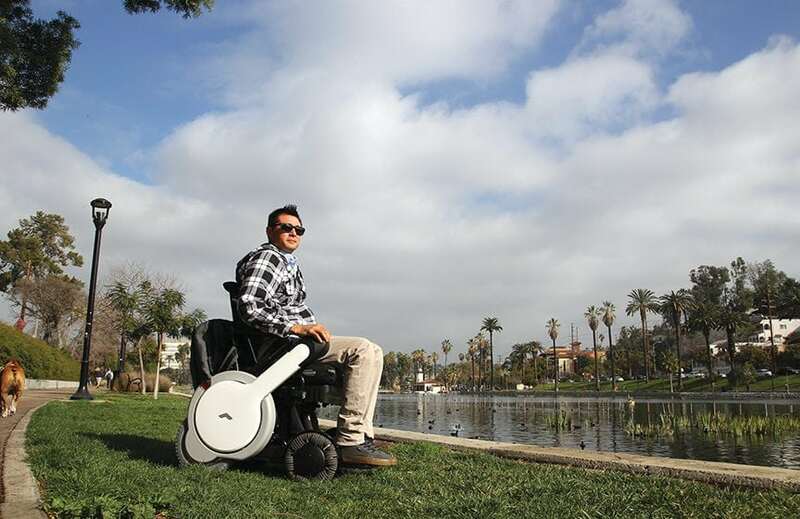 Even if you already use an assistive device, you might benefit from a secondary device to help you, as needed. For example, a lower-limb prosthesis might be fine for getting around the house and for short trips, but when you’re out for longer excursions or need to get around on difficult terrain, a wheelchair or scooter might come in handy. There are a lot of products that can make your life easier. 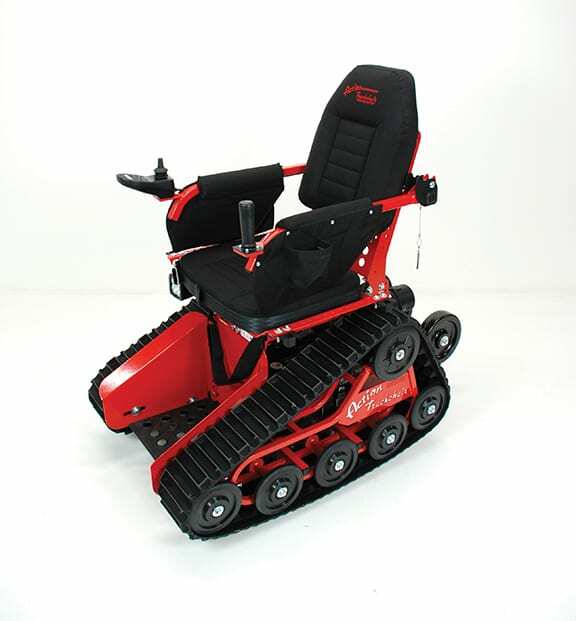 The Action Trackchair (www.actiontrackchair.com), for example, has a special tank-like tread system that can help you go almost anywhere you want to go, regardless of the terrain. Images courtesy of Action Manufacturing. 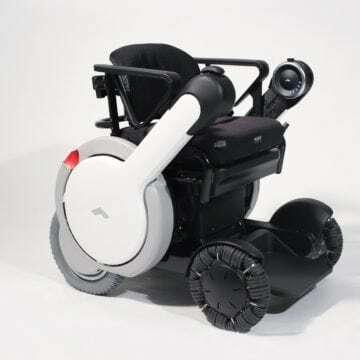 There’s also the WHILL Model M powered wheelchair (www.whill.us/model-m), which has a compact design and all-directional wheels that make it easy to maneuver in tight spots, and four-wheel drive to help prevent the wheels from getting stuck. 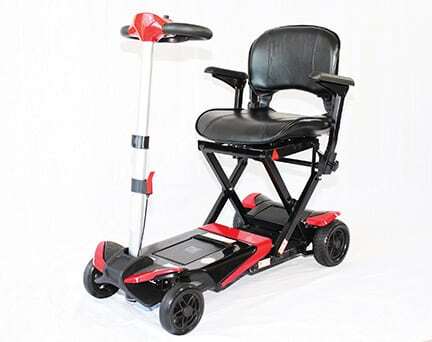 And if you require a portable mobility device, the electric Lifestyle Transformer Scooter (www.lifestylemobilityscooters.com) folds and unfolds with the touch of a button and can be transported like a piece of rolling luggage, which makes it great for travel or simply getting around town. 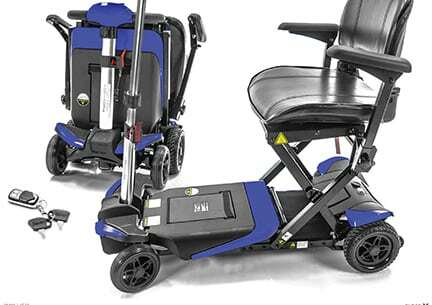 Images courtesy of Lifestyle Mobility Scooters. If you cannot afford the AT you need, don’t give up. You may still be able to acquire it through a variety of sources, including the suggestions listed to the right. With a little effort, you might also be able to find slightly used equipment that is still in excellent condition. Craigslist (www.craigslist.com) is a great place to start. For more information, visit http://tinyurl.com/hk3py8y and www.abledata.com. Editor’s note: Because of the vast array of AT products and companies that provide them, we were only able to include a few examples. The inclusion of products, companies, and resources in this article is not an endorsement. If you have received a prosthesis through insurance, Medicare, or Medicaid, there may be restrictions on the type of additional mobility aids available through these sources.